Aston Villa 0-0 Southampton: Match Report - view commentary, squad, and statistics of the game as it happened. Aston Villa ended a difficult week with a welcome point against Southampton. A run of four Barclays Premier League defeats in a row had sucked Paul Lambert's team backed towards the relegation zone but the 0-0 draw at Villa Park gave them a little bit more breathing space. 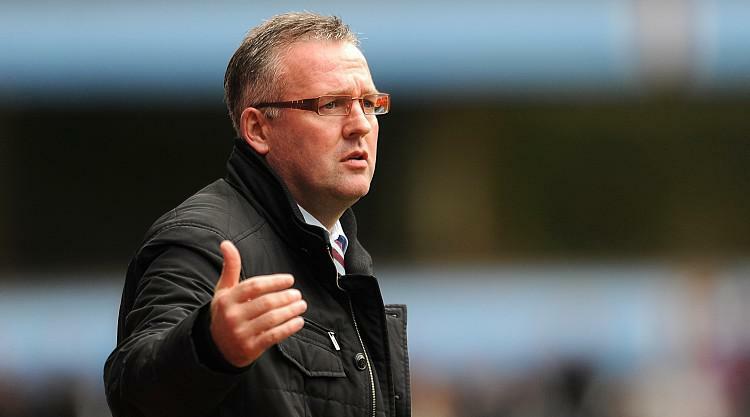 It provided some relief for Lambert, who was without his long-time assistants Ian Culverhouse and Gary Karsa following their suspension by the club. The Villa boss, who was helped out by Gordon Cowans and Shay Given, refused to give any details on the situation at his press conference this week, citing the ongoing investigation. Southampton are also in a poor run of form having lost three of their previous four games and this match will not live long in the memory. A roar of support from the Villa fans greeted Lee Mason's whistle but for the first five minutes they barely touched the ball. The only good news for the hosts was that Southampton striker Rickie Lambert could not take advantage of two decent openings. The first came in the third minute when Luke Shaw broke down the left and crossed for Lambert in space but he did not make proper contact with his header and it was easily gathered by Brad Guzan. Two minutes later Steven Davis beat Villa's offside trap and pulled the ball back for Lambert but Nathan Baker got back just in time to get a touch on the England man's shot. It was a sobering start for Villa, and their first real moment of promise came to nothing when, after breaking through the Southampton defence, Gabriel Agbonlahor's poor touch allowed Jose Fonte to nick the ball away. The visitors continued to dominate possession but were doing very little with it and it took until the 32nd minute for them to test Guzan. Baker should have cleared the danger but inexplicably missed his header from James Ward-Prowse's cross and Lambert set up Davis, whose volley was pushed away by a diving Guzan. Ryan Bertrand was a rare bright spot on the left for Villa, with the full-back's crosses providing genuine moments of concern for Saints. It was the on-loan Chelsea man who brought Artur Boruc into the game for the first time just before half-time. The Saints keeper, who returned to the side after a back injury, was a little bit fortunate to see the ball trickle behind after pushing Bertrand's cross against Dejan Lovren. Villa made a better start to the second half and, after a poor clearance from Southampton, Karim El Ahmadi did well to create space for a shot on the edge of the box. But the midfielder did not make good contact with it and Boruc saved easily. Adam Lallana was named as one of six nominees for the PFA Player of the Year on Friday and the playmaker might have celebrated with a goal. But Shaw's cross from the left was just behind Lallana, who could not adjust his feet in time and got a clattering from Guzan instead. Villa were certainly opening up Southampton a lot more, and Lovren became the first player booked for a crude challenge on Agbonlahor, who had been well found by Marc Albrighton. From the latter's free-kick, El Ahmadi shot at Boruc, while Albrighton then tried his luck with a fierce drive that was caught by the keeper at the second attempt. Moments later Ashley Westwood lashed an effort over the bar, but the clear-cut opening Villa were searching for would not come. Southampton appealed for a penalty with 10 minutes to go when Nathaniel Clyne's cross hit Bertrand's arm but referee Mason decided it was accidental. There was a first Premier League appearance as a late substitute for 19-year-old Villa striker Callum Robinson but neither side could fashion a late winner.